Most of us use amazon.com on some sort of regular basis. 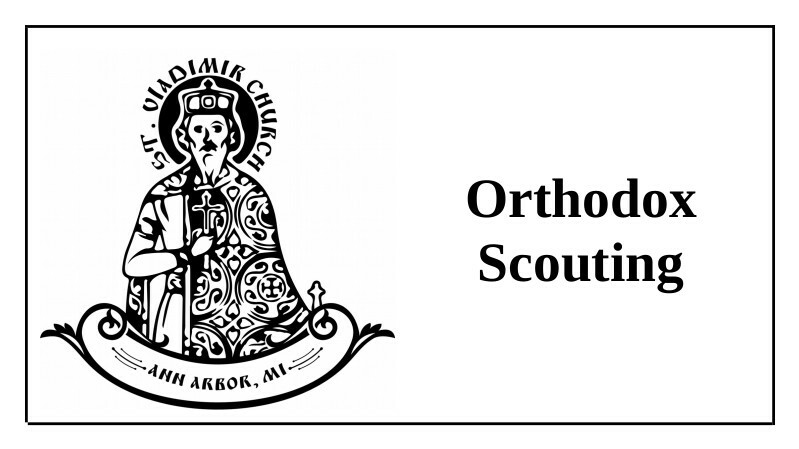 Why not do that shopping on Amazon Smile (smile.amazon.com) and choose “St Vladimir Russian Orthodox Church” (Location: Dexter, MI) as your charity? 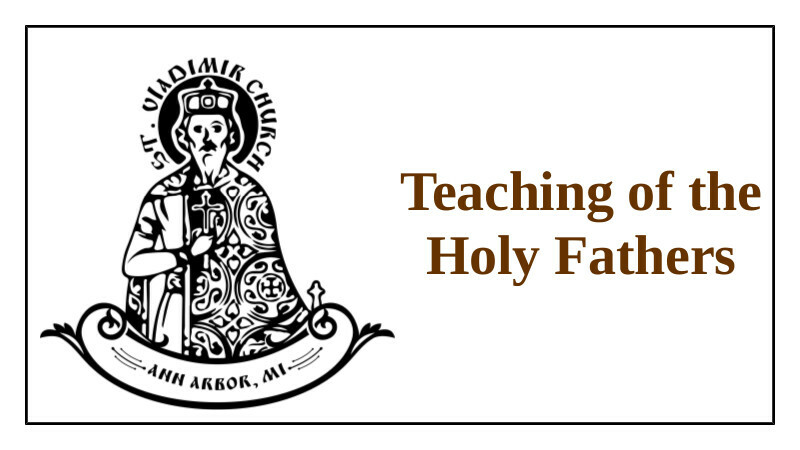 This is EXACTLY the same web site as amazon.com, but a portion of every dollar you spend goes to support St. Vladimir’s. It is EASY, QUICK, and PAINLESS. Click HERE to start using Amazon Smile and Support St. Vladimir’s – Thank You! 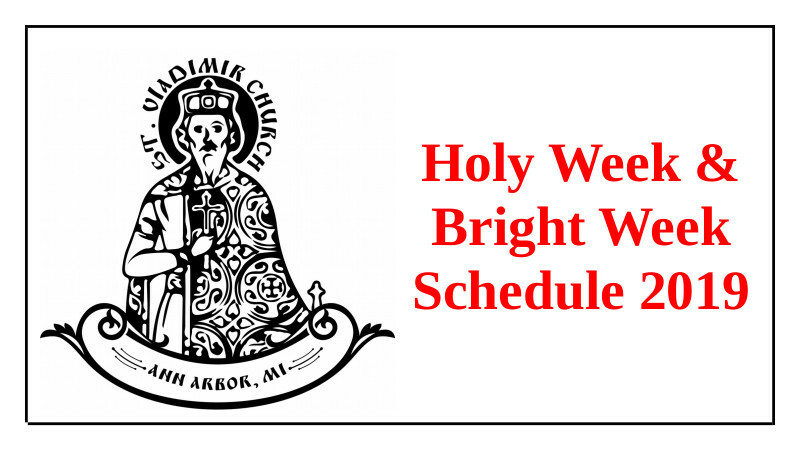 In order to help facilitate the participation of our St. Vladimir’s family in the Holy Week and Bright Week services we publish here our schedule of services for those two very important weeks. Please take the time now to put those services in your schedule that you can attend. Then add at least one more service for Holy Week and for Bright Week. As we have written before, each of us should attend every service of these weeks. It is understood that this is not the reality for most people. But if we don’t know the standard we can’t strive to attain it. 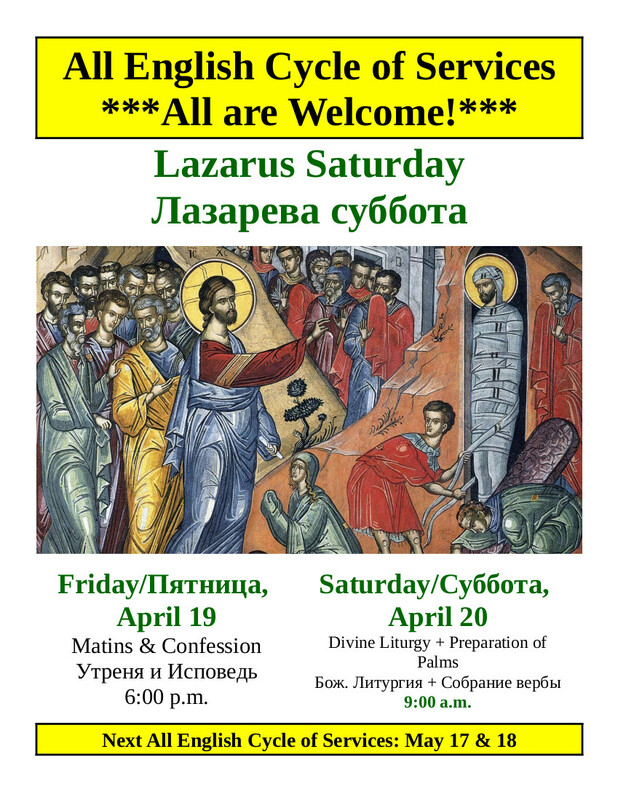 Please participate in as many of the Divine Services as you can! Please contact Fr. Gregory with questions! Palm Sunday Special Instructions – Please Help! This Sunday we celebrate the triumphant Entry of the Lord into Jerusalem, known more popularly as Palm Sunday. The Liturgy for this feast is traditionally one of our largest of the year. We need your help to make things go as smoothly as possible! 1. We will commune from two chalices at least. If we have three priests we will have three chalices. Please help by stepping into the Communion line that has the fewest people in it. The exact same Communion is in each chalice – no matter which priest is communing you. 2. Please move to the front of the parish church. Yes – you. Everyone that reads this. And please tell all your friends that don’t read this or deny reading this. :) Leave the back of the church for guests. They will be more comfortable there and we will thereby utilize our very limited space to the greatest extent possible. 3. Please do not park in the guest parking spots. Yes – you. Those spots are for guests. A guest a new person who is visiting for their first or second or third time. If you are reading this you are probably not a guest. Please spread the word about this and support each other in this regard – we need to be mature about this and be willing to walk a few more steps to church so a real guest has a nice place to park and is welcomed from the first possible moment they visit our parish. Thank you to everyone who worked so hard on Saturday at our parish work day! There is still much to do, and we’ll be reaching out to our parish family with more opportunities to do such work in the near future. But for now – thank you to all who gathered and worked so hard on Saturday! The grounds look GREAT! May the Lord reward you for your care for His Church! 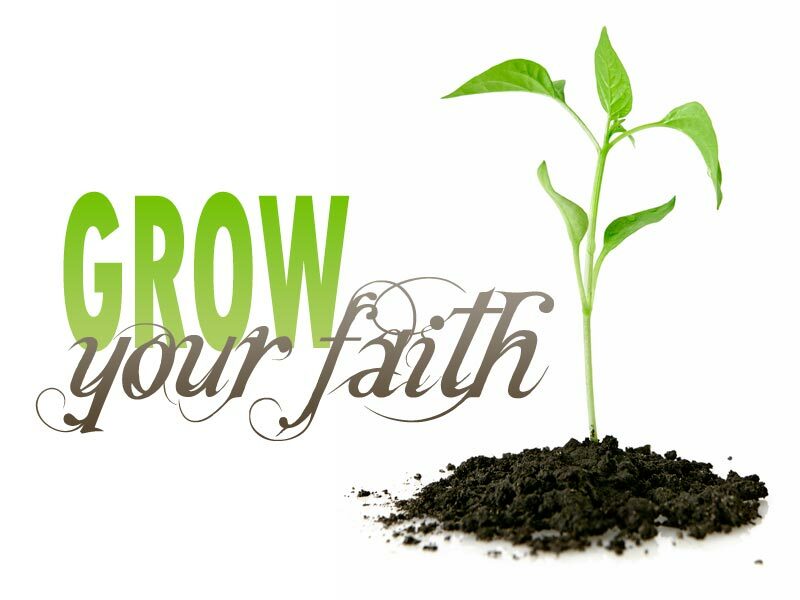 Please note that our Youth Groups will meet on May 26, rather than the originally scheduled May 19. 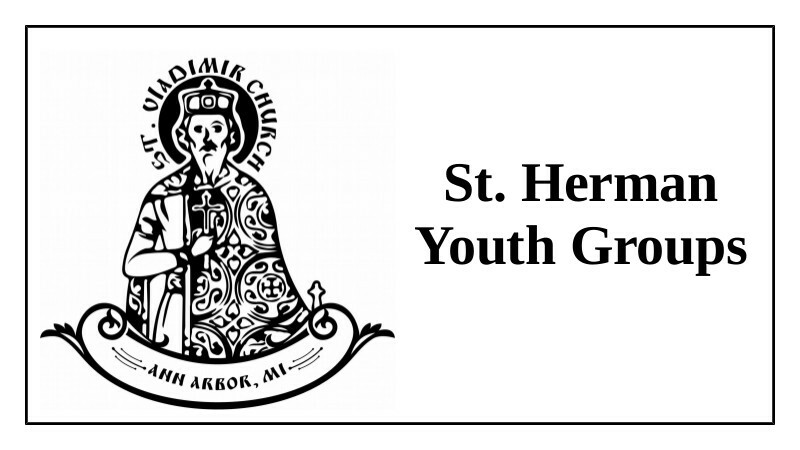 On May 19 our parish will participate in the weekly meal at Sts. Peter & Paul Cathedral in Detroit in support of those with housing stability issues in the neighborhood there. All young people are strongly urged to participate! But for this reason we will need to move our Youth Group meetings to May 26. Please make a note of this!